Risk assessment, staff audit and training matrix templates to complete. Be listed as an awarded provider on the Millie’s Mark website giving you the competitive edge over other local settings. 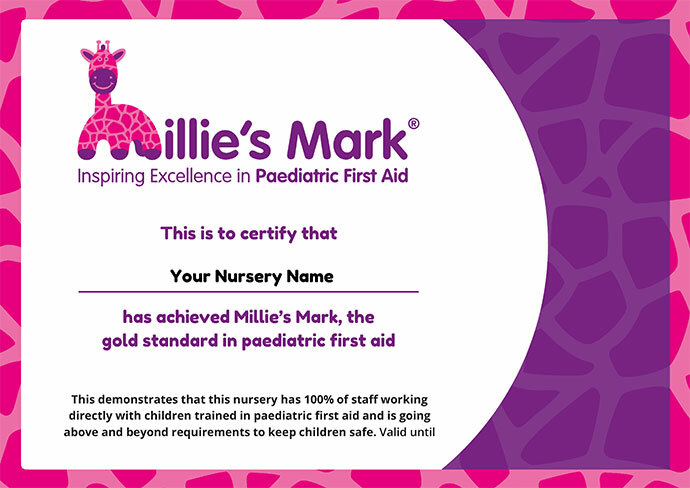 You can also purchase a plaque, banner or lifesize pop-up character - and hire Millie Giraffe for a celebration event!